Junior financial analyst Lena Fennan loves managing risk and making money. Yet when she gets a mysterious invitation to take a leap into the unknown, she does not hesitate. Soon a series of events takes her to the brink of destruction. But Lena refuses to give in, entranced by glimpses of a future that redefine everything. Reese Clawson emerges from prison gripped by the slow burn of revenge. She will track everyone who hand a hand in destroying her--and take them out. First on the list is Charlie Hazard. 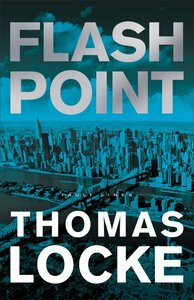 About "Flash Point (#02 in Fault Lines Series)"
Customer Reviews For "Flash Point (#02 in Fault Lines Series)"
The second is surprisingly even more engaging than the first book. Wonderful electric tension on different levels involving all characters. Exhilarating writing that swiftly takes you from one thoroughly friction filled situation to another. Stories within stories - complexities within supposed allies. Kindness and selfishness at the core of bitter battles. Ruthlessness drives the power hungry to devilish extremes as they work to crush all opposition - good people are forced into brutish defence to keep their positive projects alive.